Top 10 Smartphones Which Took Our Breath Away In 2018! We analysed OnePlus and Honor; Apple and Xiaomi and more. And here are the results. We are at the end of 2018. The year of some of the biggest technological advances. From 5G to foldable phones to in-display cameras, we saw some top smartphones with new age specs launching this year in India. Realme, Asus, OnePlus and Honor became the new frontrunners after Xiaomi. There have been some of the top powerful and impressive smartphones with budget phones taking the greater share in the country in 2018. The Indian smartphone market remains diverse with highly competitive devices from top manufacturers. Major brands had to prove their smartphones in India to be successful in the market. Let’s take a look at some of the best smartphones from 2018 launched in India. Internet giant Google launched its third generation Pixel 3 XL back in October with a notch not everyone wanted. In spite of the flaws, the new Pixel has been picked by the experts for its software. The smartphone offers some of the best next-generation software customizations and breathtaking camera performance (especially Night Sight mode). The world’s first smartphone with a triple rear camera, the Huawei P20 Pro came with three rear cameras including a 20MP monochrome sensor, 40MP RGB sensor, and an 8MP telephoto sensor. Still, with a DxOMark average score of 109, the smartphone remains one of the best of 2018 to have launched in India. Dubbed as the affordable iPhone, the new iPhone XR came with all the latest internals like A12 Bionic and a single camera. But with a 720p only LCD display, the smartphone is available in six color options and three storage options starting at Rs 76,900 in India. The smartphone which changed the game for budget flagships. Xiaomi launched a new sub-brand Poco to take on OnePlus with the cheapest Snapdragon 845 smartphone in the world. Poco F1 came with special LiquidCool technology other powerful components, starting at an affordable price of Rs 19,999. The new OnePlus 6T became the flag bearer of the next-generation entry premium flagships. Backed by a water-drop notch, Snapdragon 845, glass design and an in-display fingerprint sensor, OnePlus 6T rocked it up again. The new OnePlus 6T McLaren Edition now offers 10GB of RAM with a DxOMark average score of 97. The budget gaming beast from Huawei’s Honor remains of the most sold entry premium smartphones in India. Available at a starting price of Rs 16,999, Honor Play is a premium-looking mid-range gaming phone offering premium specs equipped with Huawei’s GPU Turbo. The smartphone will soon have its latest EMUI 9.0 Android 9 Pie skin as well. The first flagship of the year, the Galaxy S9 Plus became the first phone to come with a special camera where you can adjust the camera aperture mechanically. With the new software, enhanced camera, and better overall performance, Galaxy S9 Plus became an instant hit in India. Samsung has been struggling in the premium segment. After S9 Plus, it had its Note 9. The Note 9’s display has outperformed iPhone XS Max. Backed by top features, the smartphone offers premium specs and a powerful processor. Launched in November 2018, the Huawei Mate 20 Pro is now available in India at Rs 69,990. The smartphone is powered by the first 7nm Android smartphone processor, rear triple camera setup packing in a 40-megapixel (f/1.8) primary camera 20-megapixel (f/2.2) secondary camera and a telephoto lens backed by its super fast charging technology. The first smartphone in the world to innovate the full-screen technology. 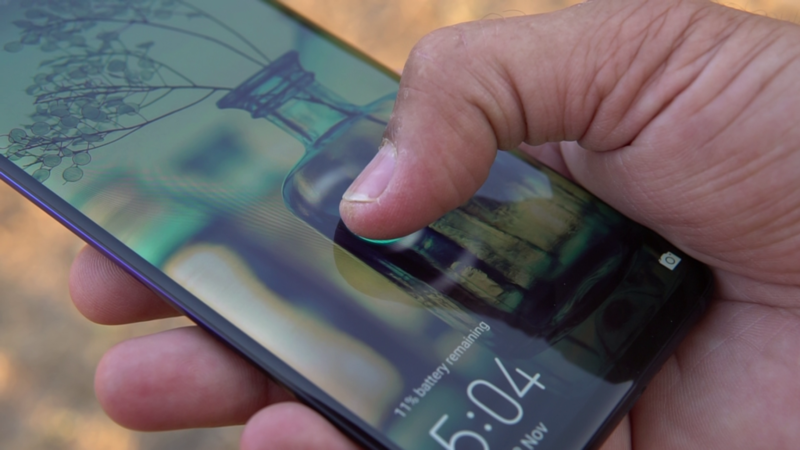 The company introduced a pop-up front camera to smartphones eliminating the notch. Available at an entry premium price, Vivo NEX is powered by Qualcomm Snapdragon 845, 4000mAh battery and 6.59-inch Full HD+ display. The company also recently launched its second generation NEX in China last week. The other premium smartphones launched in India in 2018. "Top 10 Smartphones Which Took Our Breath Away In 2018! ", 5 out of 5 based on 2 ratings. Ex blogger, digital marketer and an avid caffeine-lover trying to indulge into the digital space of writing. Technology freak, an internet nut and a part time philosopher. Huawei P30 Pro India Launch: Crucial Specs, India Price And More! OnePlus Declares Triple Profit In India, Redmi Note 7 Leaked Completely! Huawei Beats Apple, Despite Ban By US, Japan; Honor View20 Launching In India? None took my breath. If you are having Respiratory issues. Visit a doctor.